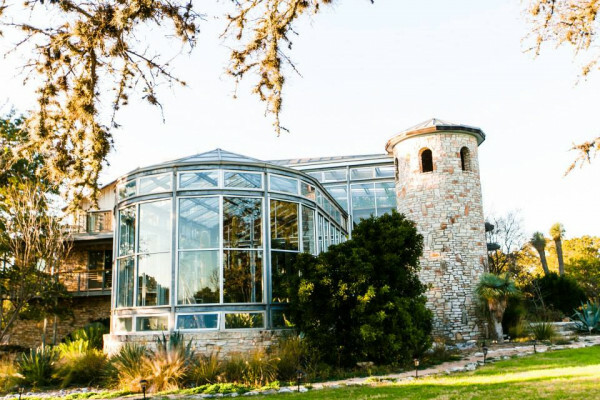 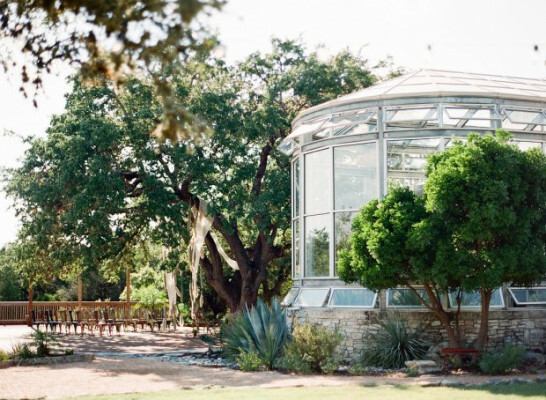 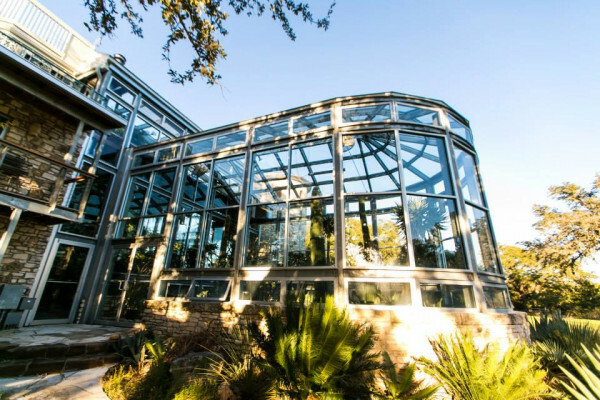 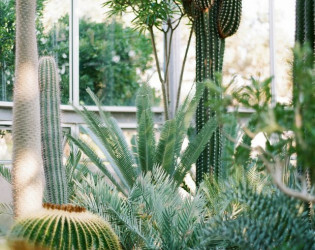 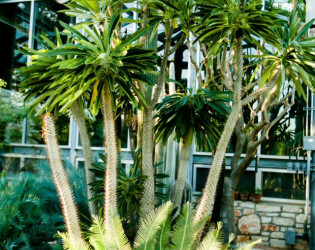 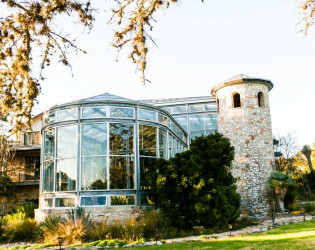 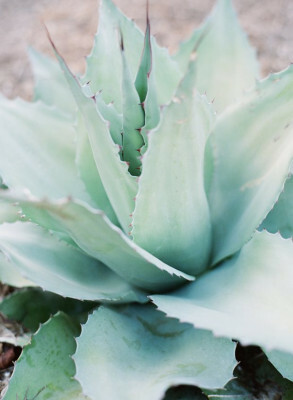 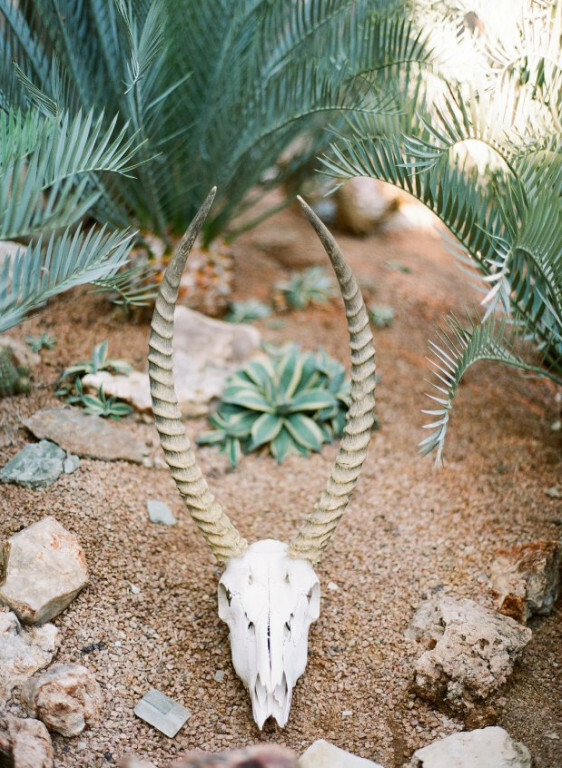 Get back to nature at this gorgeous greenhouse in the heart of Texas Hill Country. 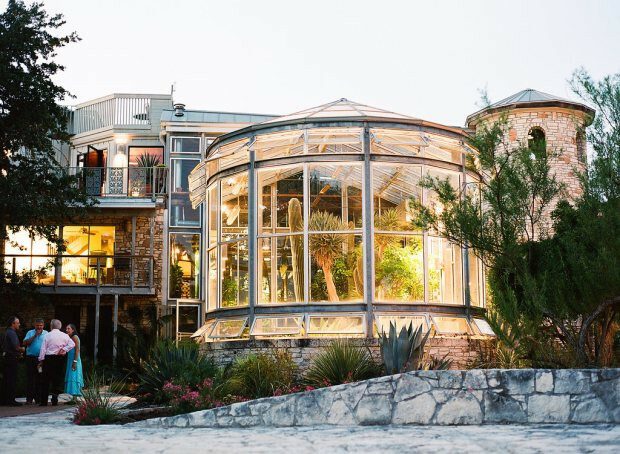 You know a place is special when the entrance is a two-story glass-encased greenhouse dripping with tropical, rain forest foliage. 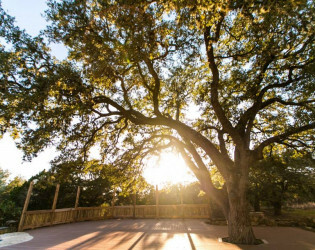 In Texas. 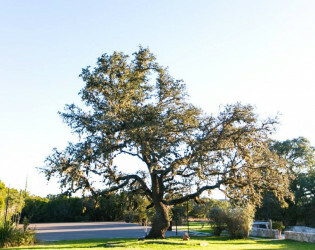 It's also been in the same family for three generations. While lush flora and fauna abound, real care and curation has gone into this utterly chic and special space - gorgeously great for any get-together. 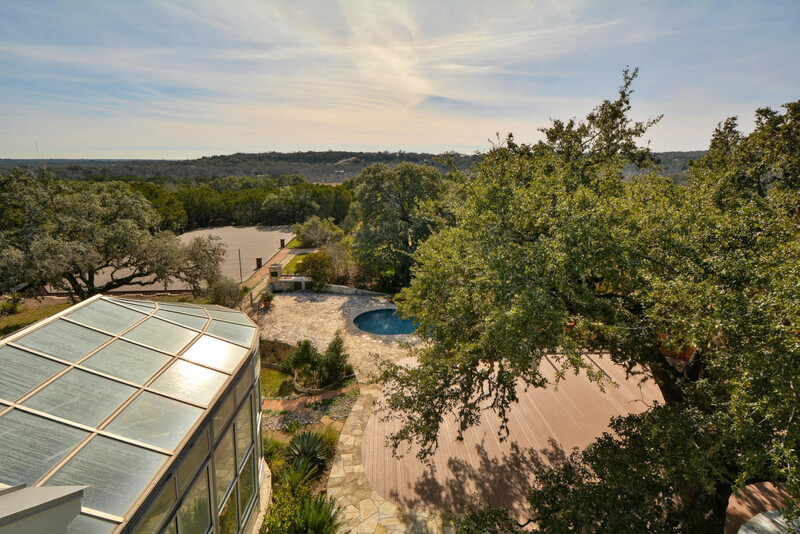 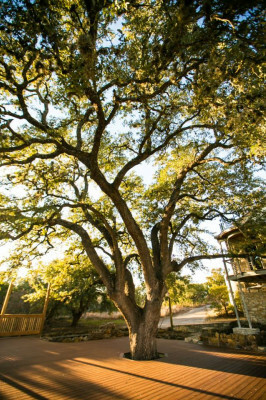 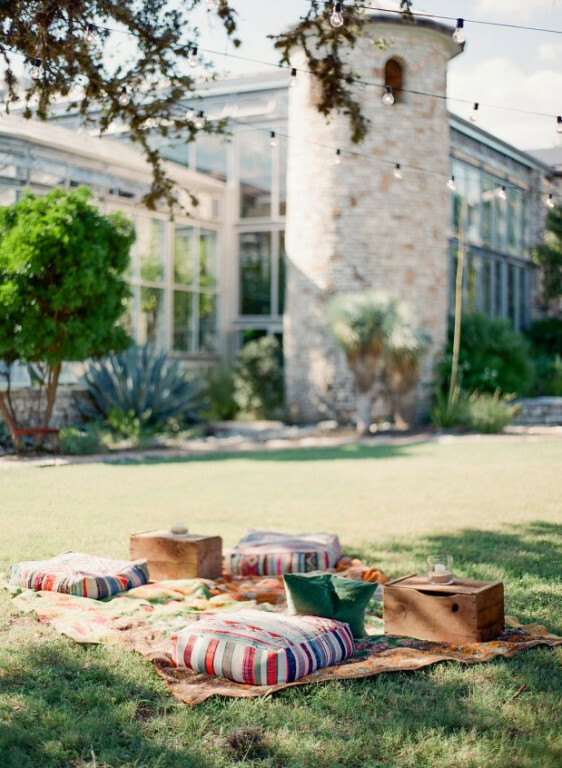 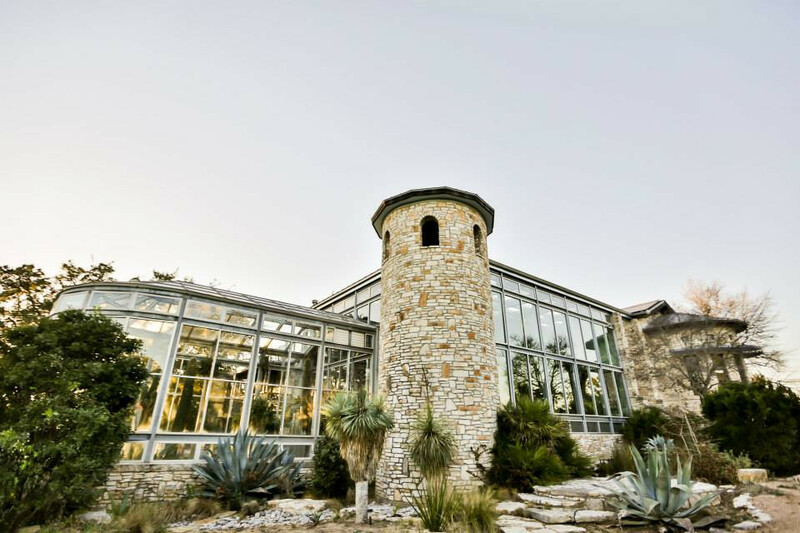 The Greenhouse is made up of diverse outdoor spaces nestled within over 60 acres in the Texas Hill Country. 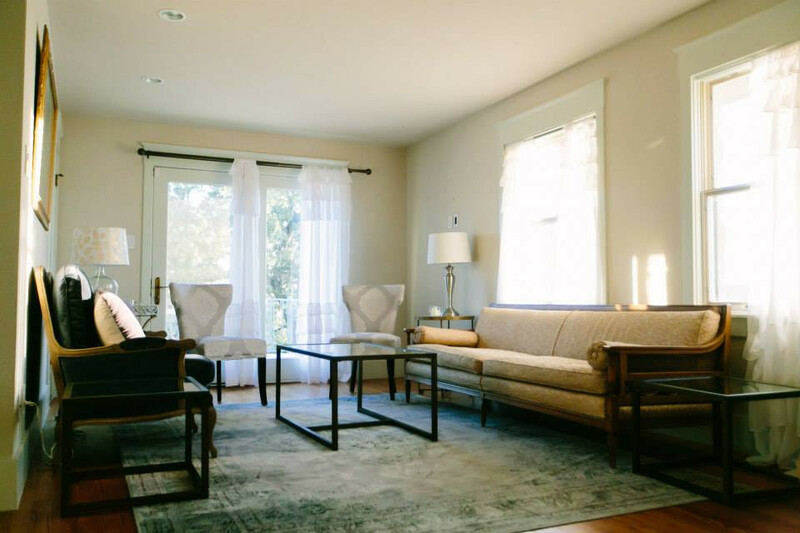 Our spaces cater to intimate dinner parties as well as larger receptions and seated dinners. 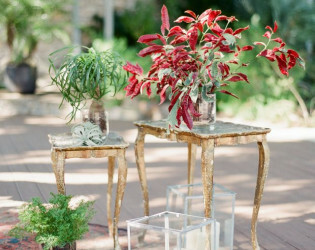 They also offer a natural feel for a casual evening as well as striking elegance for a black-tie affair. We offer beautiful landscapes where you can use your creativity to bring your ideal creation to life. 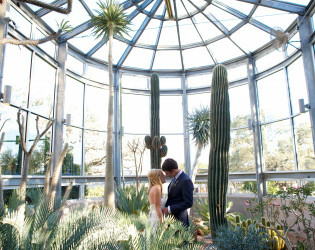 While we do offer indoor spaces, at this time they are only available for smaller events. 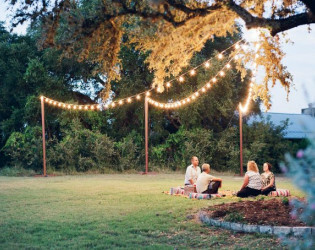 Our outdoor spaces accommodate weddings and parties large and small and we do allow tenting in several areas. 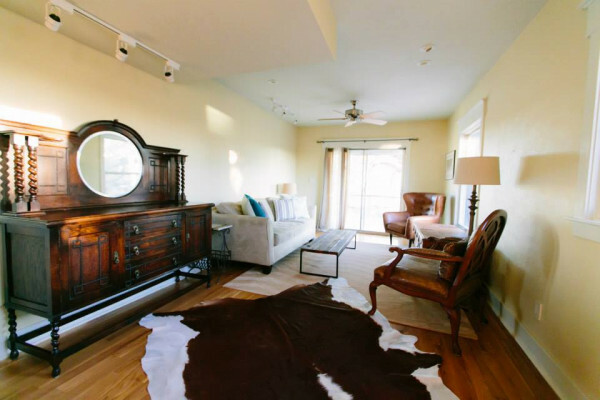 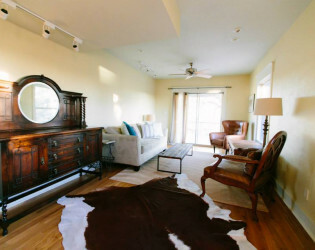 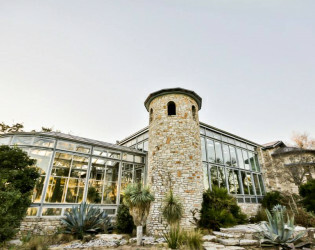 The Greenhouse at Driftwood is a special place in the heart of the Hill Country. 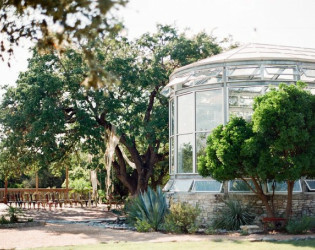 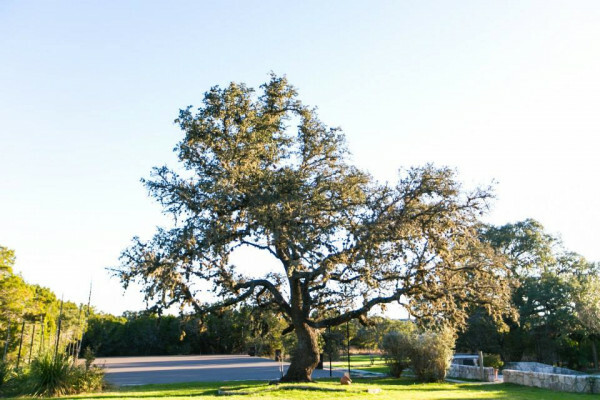 Nestled between Onion Creek and Jackson Creek in Driftwood, Texas, The Greenhouse provides an elegant, unique setting for events in the midst of nature. 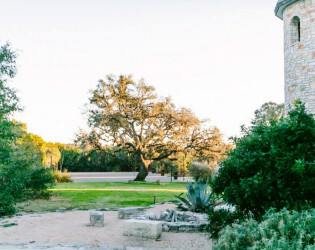 The property has been in the same family for three generations and as you can tell with the structures and surroundings, it has been cared for each and every day of its existence. 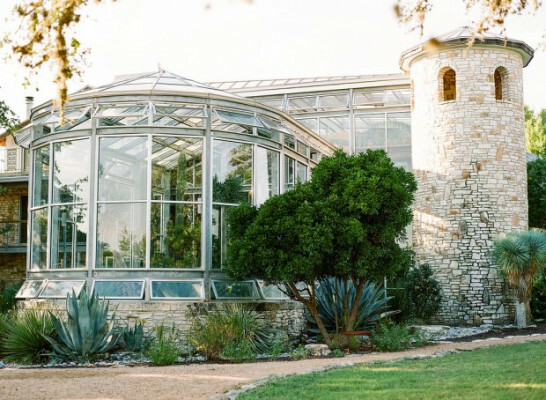 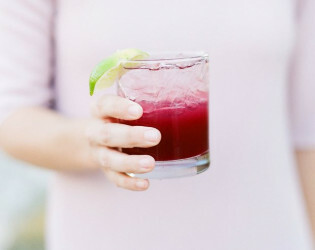 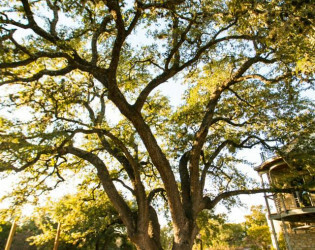 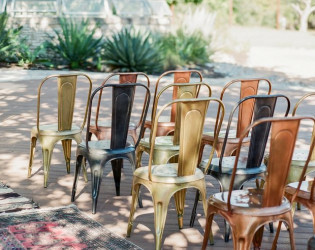 With lush, native plants, century-old Oaks, and rustic open spaces just miles from the Austin city limits, The Greenhouse is not your average venue. 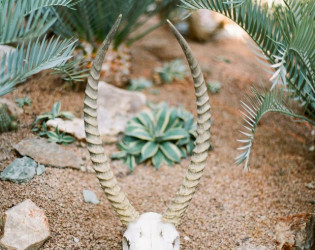 Attention to conservation and sustainability is a way of life here. 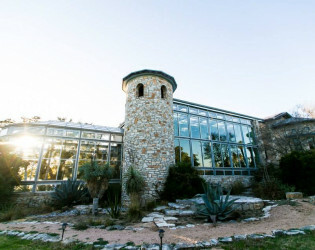 The property has been using rainwater collection for primary water use since the 1970’s and most of the power needs are met using rooftop solar panels. 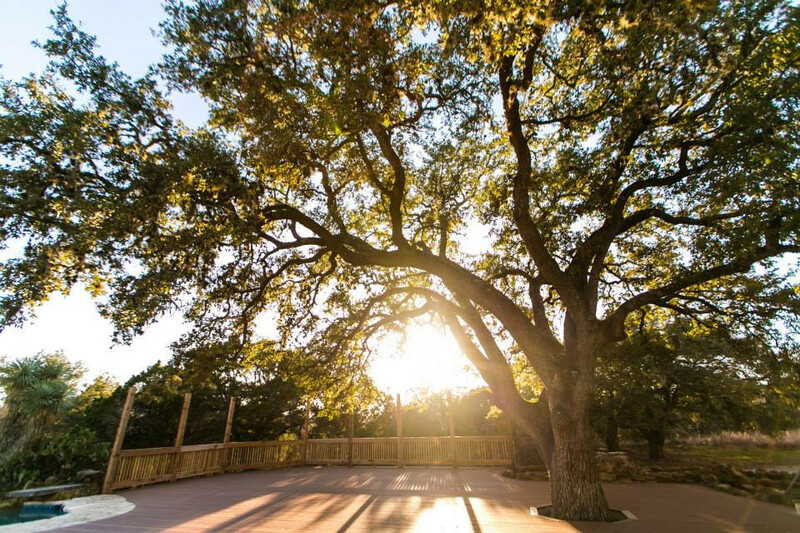 In addition to conservation, promoting wildlife and bird habitat is of upmost importance. 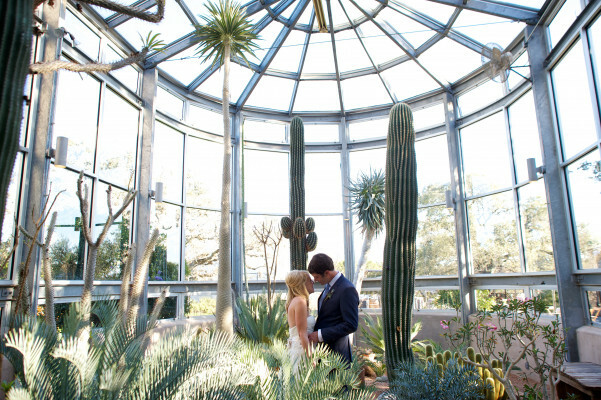 The first wedding at The Greenhouse was on March 2, 2013. 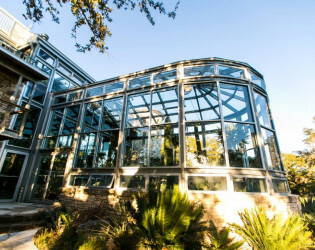 The entrance to the space is through a three-story, tropical greenhouse filled with rainforest plants including cycads, palms, orchids and bromeliads. 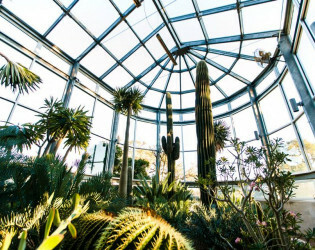 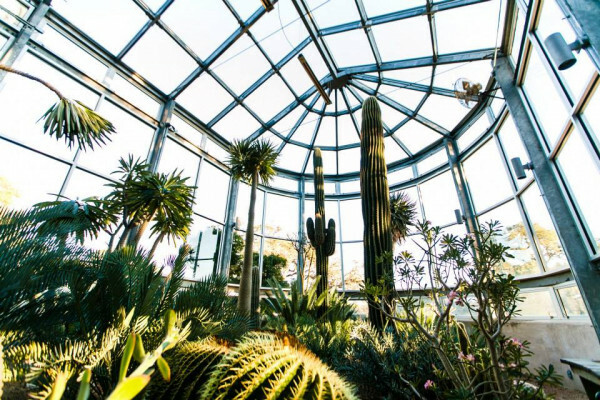 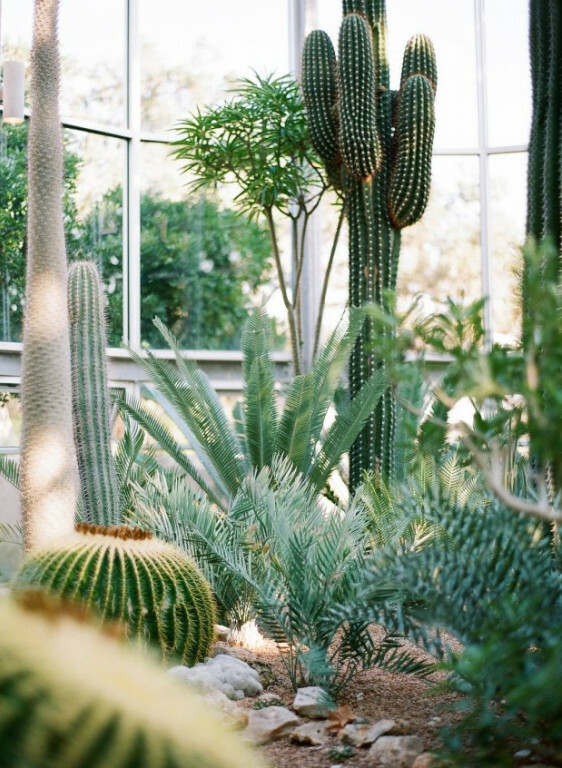 The adjacent greenhouse, with a desert climate, houses cycads, cacti, aloes, succulents, and pachypodia. Each plant was carefully chosen and planted with care. 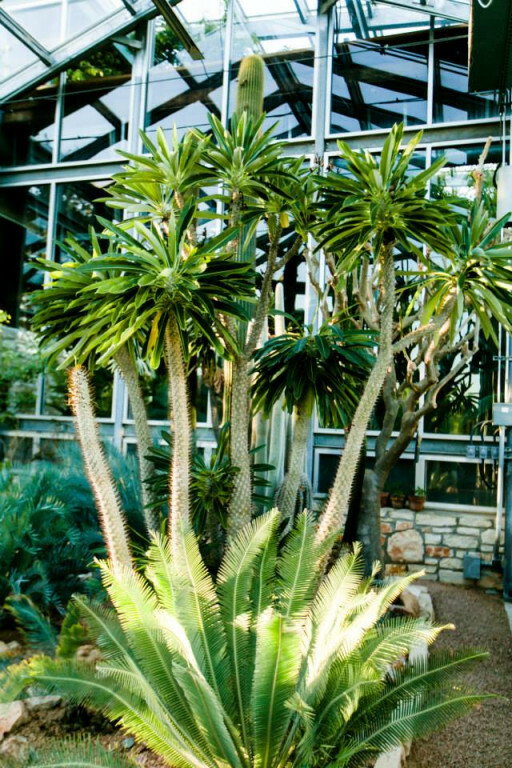 Some specimens were grown from seed and lovingly tended over the past decades, growing into the mature plants seen today. 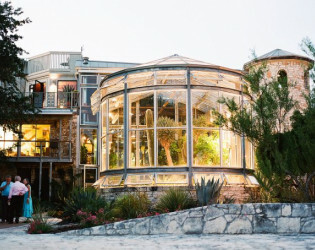 The owners have a keen interest in cycads, a group of primitive palm-like plants related to ferns. These prehistoric, exceptionally slow growing plants are mostly concentrated in the equatorial regions of the globe. Presently, there are about 70 different species planted in the ground in the greenhouses. 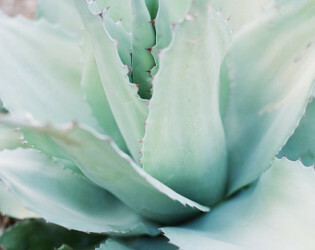 An estimated 300 to 400 species of these “living fossils” remain in existence in the wild today. 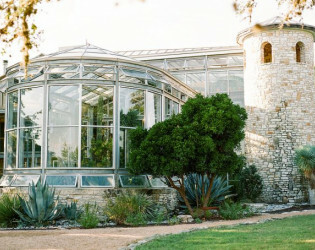 Rental rates include: • One bridal portrait or engagement photo shoot prior to your event date, based on availability • One two-hour vendor meeting prior to event date based on availability, must be scheduled in advance • Complimentary use of The Greenhouse at Driftwood rental equipment including chairs, dining tables, and buffet tables. 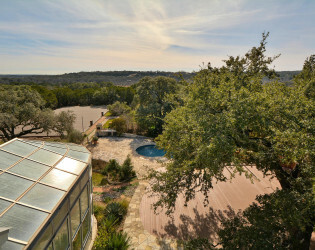 Inquire for a current list of rentals available. 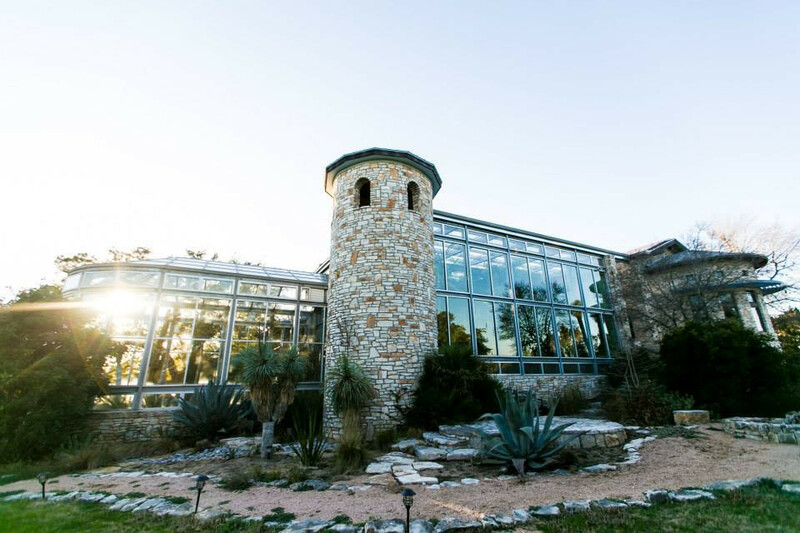 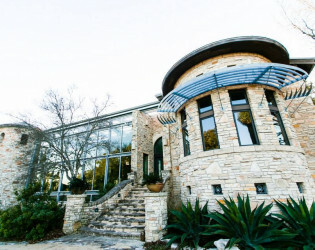 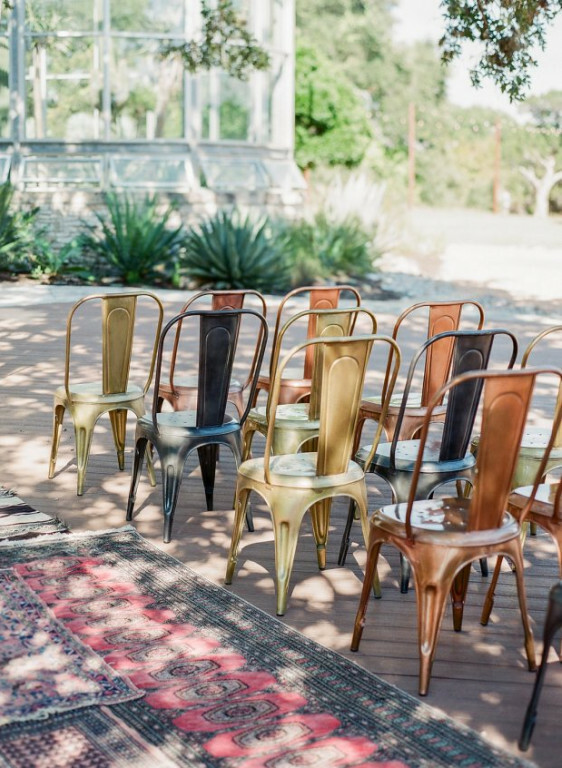 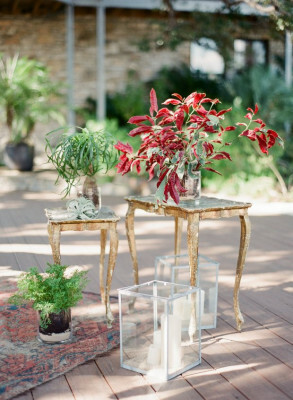 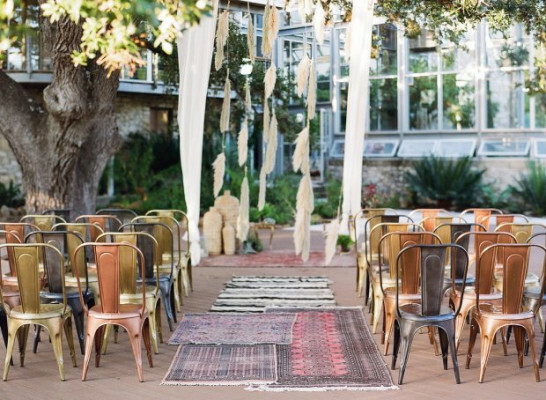 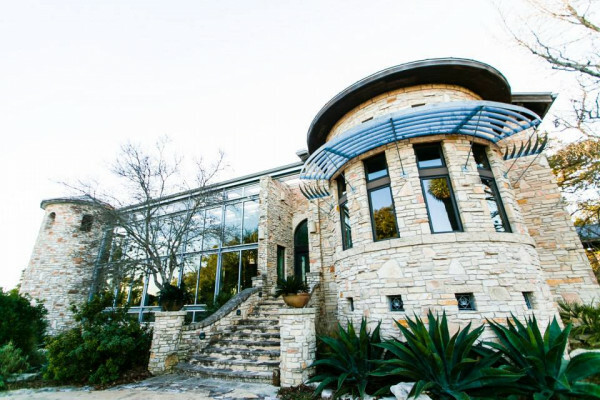 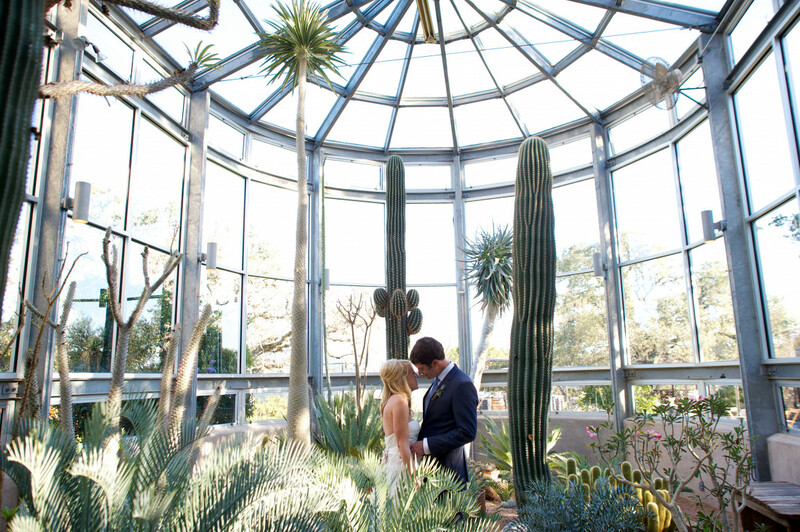 The Greenhouse at Driftwood is one of Austin's most stunning venues! 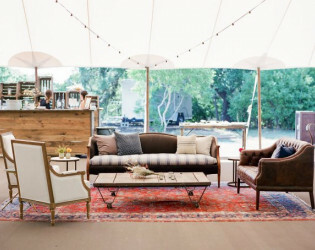 Just don't forget to account for a reception tent, and possibly a ceremony tent in the case of foul weather. Also, transportation for your guests is something to keep in mind to ensure everyone can have a wonderful time and get safely to and from your party. 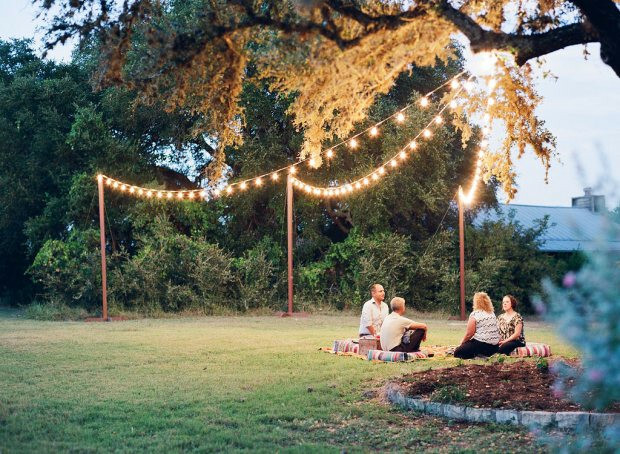 Happy celebrating! 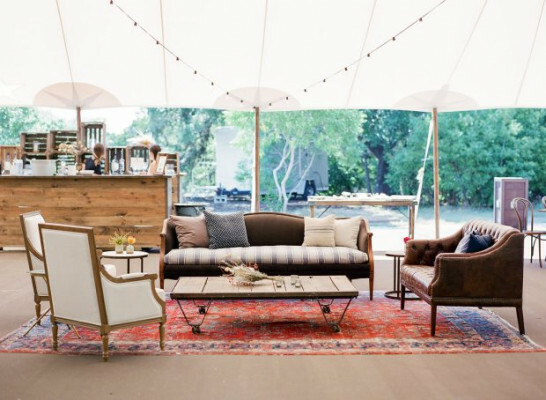 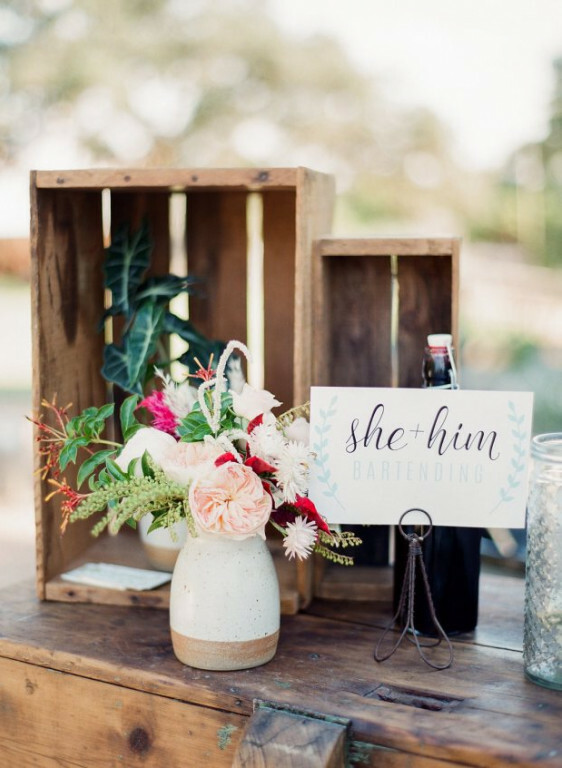 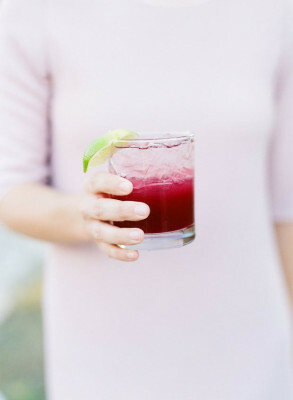 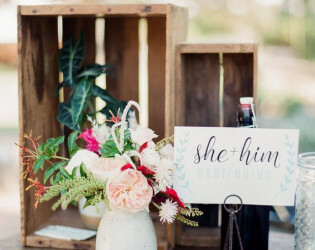 As a boutique event planning & design firm, we'll be your partner every step of the way. 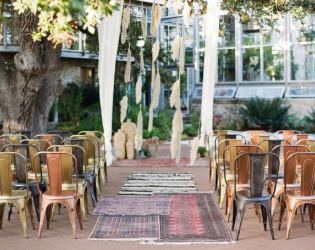 We'll help you dream up beautiful ideas and transform them into the exquisite, timeless, and unforgettable celebration you've always wanted. 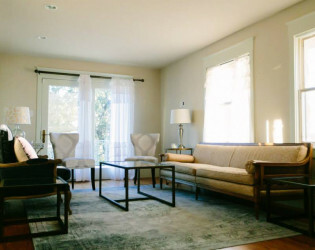 Our deep understanding of our clients allows us to customize a design, down to the last detail, that embodies their personal and unique style. 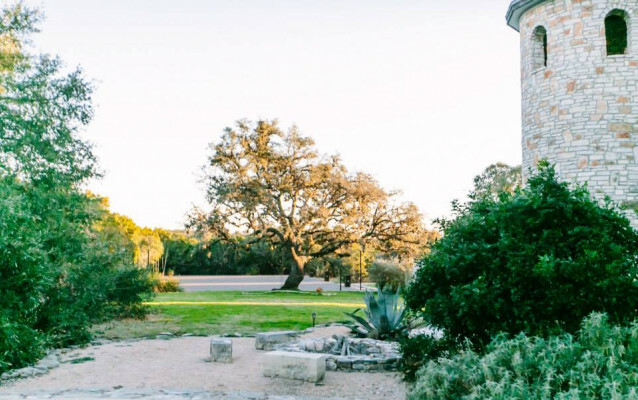 Over the last ten years, our founder Lindsey Farrell has been honored to design, plan, and execute countless weddings and events for a myriad of clients. From weddings in Washington, DC to brand launches in New York City, to intimate parties in the Virgin Islands, we've done it all. We live to create unforgettable experiences for our clients and their guests.